Stacey A. Lenisa, D.C. completed her pre-med, undergraduate studies at the University of Waterloo in Ontario, Canada. She attained her Doctor of Chiropractic degree from the National College of Chiropractic in 1995. 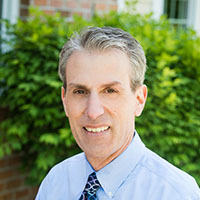 Over the years, Dr. Lenisa has been a faculty member at two chiropractic colleges in New York and Illinois and has enjoyed private practices in Pennsylvania and Maryland. 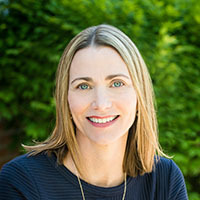 She established New Market Chiropractic in 2007, with the goal of providing quality chiropractic and physical therapy services to the New Market region. As a lifetime athlete, Dr. Lenisa learned firsthand about the benefit of chiropractic and physical therapy since her teens. Her approach to care is influenced by her love of sport and fitness. She believes that all patients are capable of performing some level of exercise. She will “coach” you through your pain, and help you to achieve your personal health and fitness goals. Dr. Lenisa lives in New Market along with her husband, Dr. Patrick Farrell, and their daughter, Renata. At New Market Chiropractic, we know that every patient is different. Whether you are looking for back pain relief, treatment for a disc herniation, help with neck pain, or rehab of a sports injury, we have the tools to be on your recovery team. Our patients are amazed at how well their bodies work after having chiropractic therapy! We work together with our patients and their other doctors to get our patients better faster. We know how and when to order specialized tests such as an MRI, or when to refer for other types of care. By working together, we are able to demonstrate the full potential of health care in Frederick County.